Who stole the cookies from the cookie jar? On National Cookie Day, who cares? These days, cookies have become the gold standard when it comes to sweets, but it wasn’t always that way. Cookies were born from the need to test an oven’s temperature before baking a cake, but it’s easy to see why those miniature test cakes weren’t thrown away after baking. Anything with an interesting history is worth commemorating, and that’s why on December 4, we celebrate National Cookie Day! There's a bakery hiding in your neighborhood with the best darn cookies you've never tried. Ask some friends, and consult Yelp, to find the best cookie in your neck of the woods. Many of the most famous cookies (we're looking at you, chocolate chip) were the result of happy accidents in the kitchen. Try some experimenting on your next batch to see where you land! 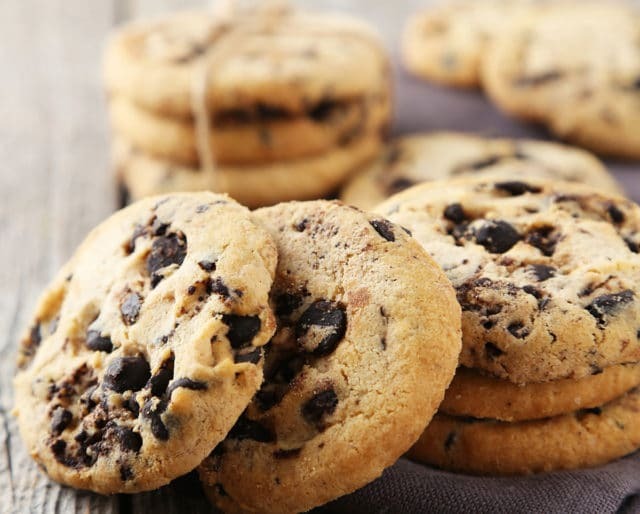 If you're really looking to make this National Cookie Day count, you could get ambitious and host a charity bake-off, donating the funds raised to your favorite charity! Oatmeal? Chocolate chip? Sugar? They can't all be the best cookie, but any of them could certainly be someone's favorite. With the vast variety of cookie types across the globe, you're bound to get ten different answers if you ask ten different people. Come on — does this one really need elaboration? We've all got fond memories, filled with nostalgia, of eating cookies as a youngster. For most of us, that love for cookies never left us. If you bake a massive cake, it's easy to eat too much. Think about it: even after cutting out a massive slice, there's still a ton of cake left and it barely looks like you've made a dent. With cookies, though, it's easier to stop at one!